Due to popular request, the Peak 2056 Pocket Pen Microscopes are now available without a measuring scale and with magnification factors of either 25x or 50x. If the pen microscope is only to be used for visual checking a graduation scale, such as that included as a standard feature on the 2050 series, is not required and can have an irritating effect in the image. Furthermore, the primary difference in comparison to the Peak 2001 series is that the image of the object being inspected is not reversed. A prismatic system inside the microscope reduces the overall length while simultaneously producing a true image. Supplied with case. This model is not available with magnification factor of 75x or 100x. Dimensions 111 x 21 mm. Weight 28 grams. Case included. Pocket microscopes styled like a pen are excellent for inspecting areas which other microscopes cannot reach. 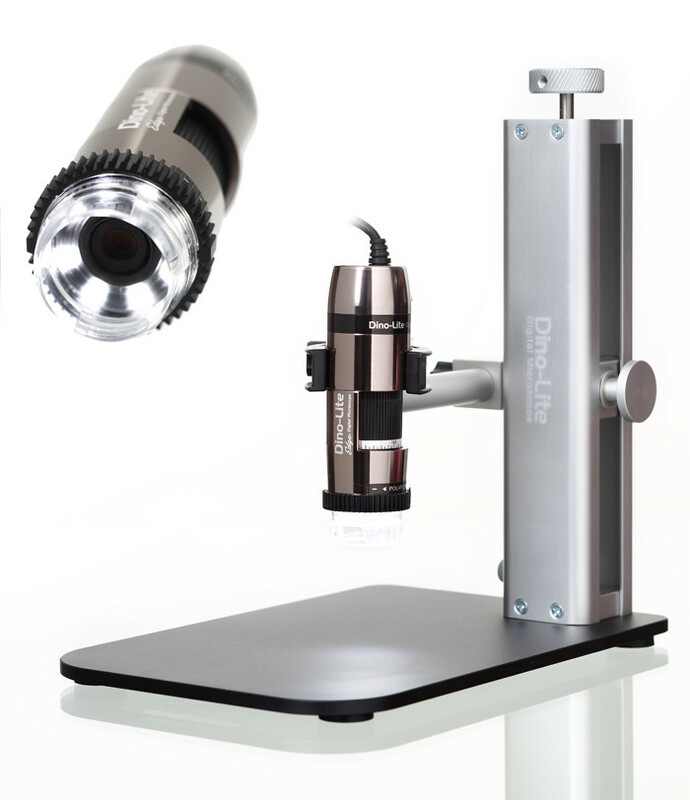 Incredibly light and portable these pocket microscopes are available with magnification from 15x to 100x. Some models include a graticule scale for measuring. They are easily focused by setting down on the acrylic tip and pivoting around the set-down point.